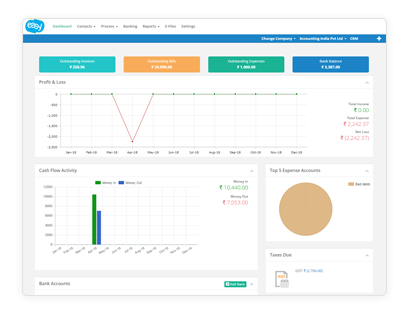 Use Easy to keep track of all your income and expenses to keep your business financials under control. Retail, High-tech, Non-profits, Legal, Hospitality, Cafes, Startup, eCommerce, Small business, manufacturing. Whether you are a small business, a start-up or a high tech, Easy is the right choice for you. 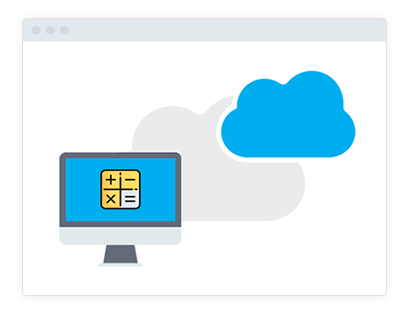 Easy is a cloud accounting software which automates most of the processes saving you time and making your business efficient. It gives you complete visibility into all aspects of the business, including cashflow, invoicing and online payments. That means more success, with less headaches – and that’s got to be good for business.